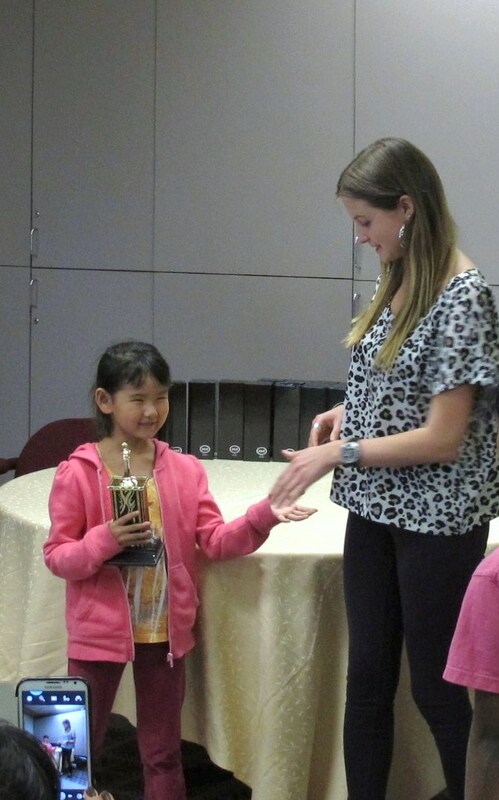 Congrats to all the girls who participated in the Ontario Girls’ Chess Championship 2013. 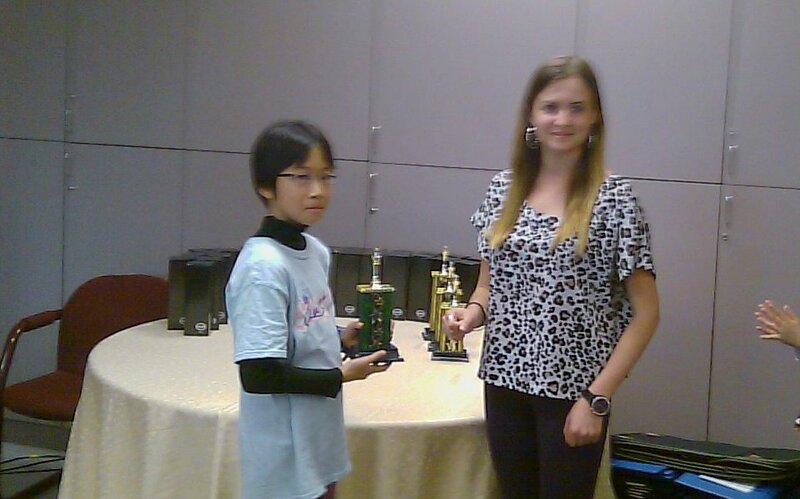 We have two trophy winners: Isamel S (U8-Third) and Cindy Q (U10-Third). Info of the tournament, click here. 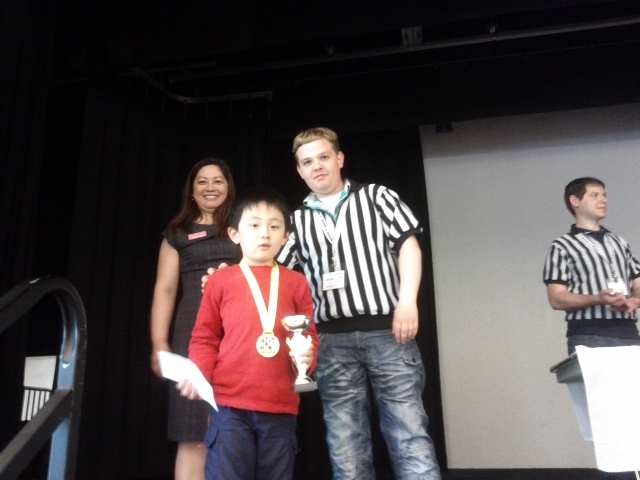 Congratulations to Jonathan Zhao who won the third CMA Grand Prix U8 on May 5. 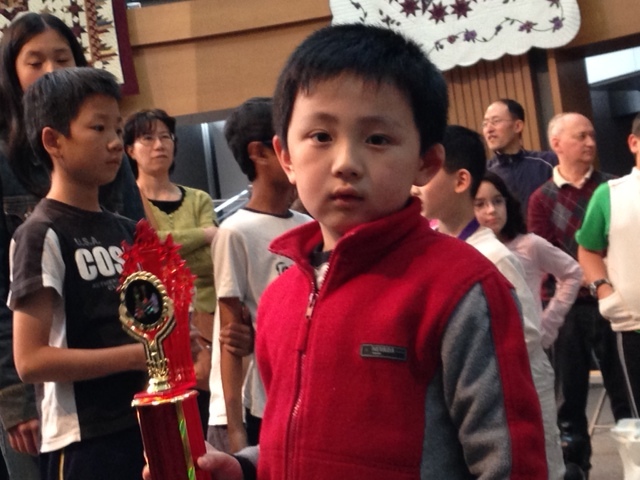 He is also the overall U8 winner of the 3 Grand Prix in 2012-2013. I was very pleased to visit my good friend Corinna last Sunday, April 28th to assist with the weekly tournament and then provide a 30-board simul to the children afterwards. It’s always refreshing to see the enthusiasm that the players at Oriole have – the kind of enthusiasm that led to some very tough games in my simul! Congratulations to Edward Li, the last surviving player, and a big thank you to parents and players for coming out to support me. It’s amazing to see most of the simul participants from 2012 were here again in 2013. Last year I did my simul as an FM, this year an IM, so I hope to keep that good luck streak going and return to Oriole and give my GM simul in 2014! Thanks to all your support we were able to fundraise 800$ towards my trip to Bolivia. Here I will represent Canada as I compete to qualify for the World Cup of Chess. The tournament takes place May 7-15th, so stay tuned for the results. Corinna, thank you so much for your continued support towards my chess career, and I hope everyone enjoyed themselves as much as I did! 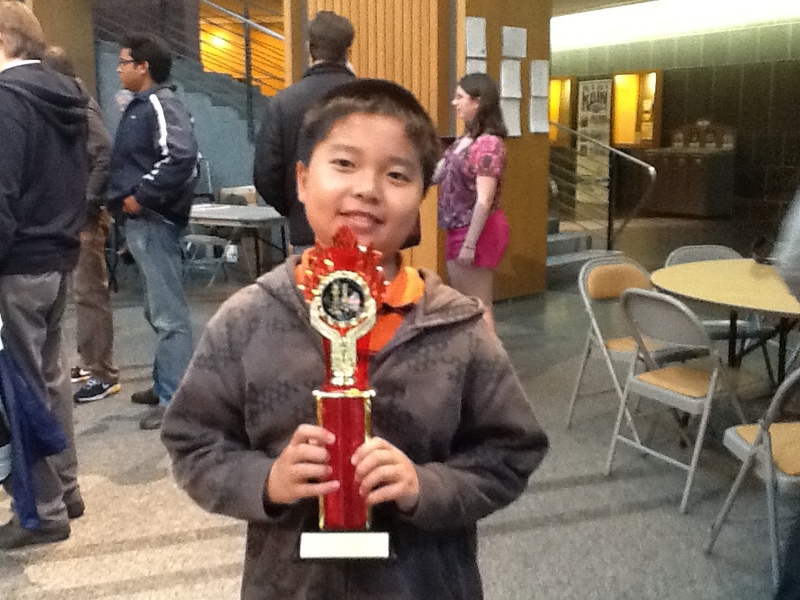 Congrats to Daniel Liu and Jonathan Zhao winning the Ontario Youth Chess Championship in Under 10 and Under 8 sections respectively.